I work a lot with supplements because I work with nutrition, but also sometimes really targeted to my clients when it comes to sleep. 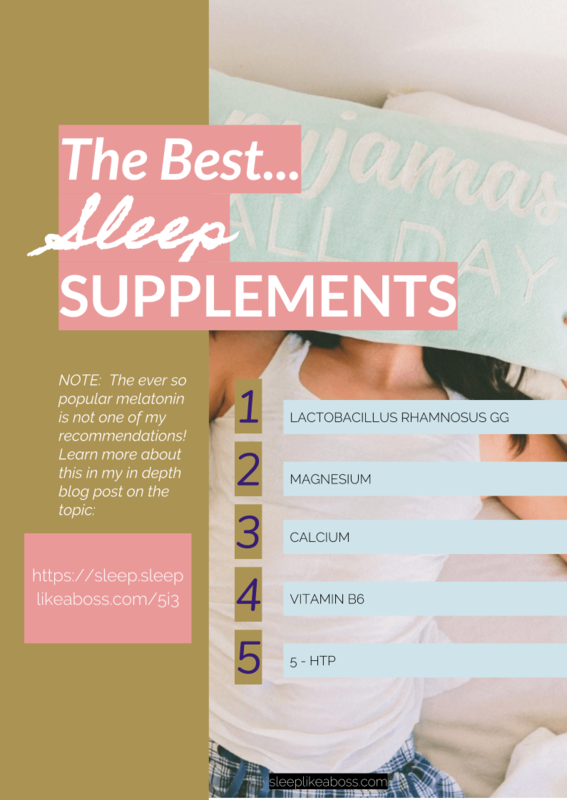 Disclaimer, straight from the bat: A supplement on its own is most likely not going to be able to help you sleep, if you've had a severe insomnia condition for a long time. 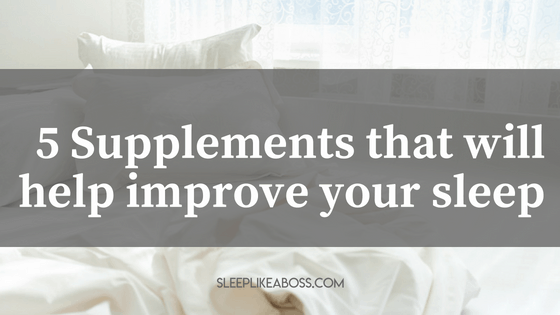 If it's to help you bridge that little gap, where you have a little bit of difficulty to falling asleep, then a supplement might very well help. It's a great supplement as the name says to a great sleep routine and to everything else that is being accommodated for your sleep. However, if you seriously have issues, just a supplement alone is not going to cut it. I don't want to get your hopes up, because I have clients, who come completely disillusioned, not open anymore to any supplements at all, because it didn't help them. It's not a magic sleeping pill. It's absolutely not the same. If you are going to take all the different steps to support your body and your mind and you add different supplements, they are truly magical. ​Now, first of all, the supplements I use are not the typical ones and you will note that I don't use Melatonin, which is the supplement that's been hyped over the last few years. I have a very good reason why I never use Melatonin. It just works very rarely for my clients. The first thing I use or what I do with my clients in general is, I always focus on gut health. And so it might be surprising that the number one supplement that I am suggesting is a probiotic and it's the Lactobacillus Rhamnosus GG. Lactobacillius is the general kind of probiotic. It's the family. Rhamnosus is then the second degree of specification. And GG is the strain. When you buy probiotic, always check that it has three indicators: The kind, the family and the strain, because all of them do different things. All of them react differently. They have different talents, so to say. Lactobacillus Rhamnosus GG is an excellent, excellent, all-rounder; especially if you have gut issues such as gut dysbiosis; meaning too much bacteria that is harmful, so not good bacteria but bad bacteria. 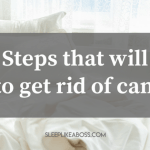 If you have inflammation, pathogens, if you had a round of antibiotics, use this one and it's going to help you heal your gut and that is going to slow down inflammation, which is going to slow down cortisol, which is going to help you sleep. It might not be the first one that you think of at the top of your head at all because it's a probiotic. It doesn't have any plants in them as you’d might expect from a typical recommendation a sleep expert might give. But if you look at the overall picture, why you're not sleeping, having gut issues is at the very top. Even if you don't think so, get yourself tested, reach out to me at christine [at] sleeplikeaboss.com and I will let you know exactly which test to take and you will see, especially if you wake up at night and you are tired and wired. That's why. Lactobacillus Rhamnosus GG, even if you don't have sleep issues, is a great all-round probiotics. That’s number 1. Number 2 is magnesium. Magnesium is amazing to wind down. Calcium and magnesium have a really tranquilizing effect, just as vitamin B6. How do I know this? First of all, I can see it with my clients, but also as you might know, I'm a nutritional therapist and I've studied with the Health Sciences Academy in London and they are fantastic. They have a research team of PhDs that only look at really new brand, newly verified research and it's fascinating! Their reports are just amazing. The course had over 5,000 scientific papers that back up what they were saying, so check them out. They have a fantastic blog as well. Magnesium, calcium, vitamin B6 in particular, make sure that when you use supplements, they feed off each other, so they need to interact with each other. I usually recommend a B complex as well. Make sure that you get enough of this. Those are some of my favorites and I'm going to let you know exactly how much of each as well. So stay tuned. 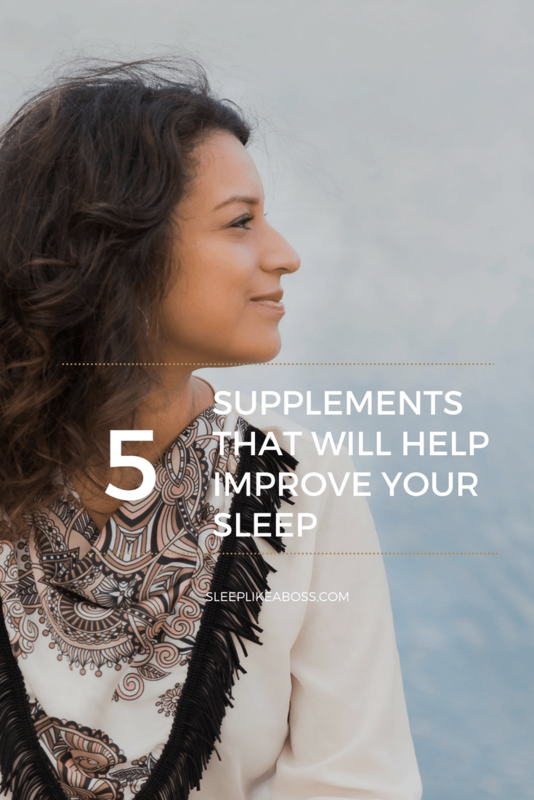 Number 3 is the 5-htp and it's similar to melatonin, but not really. Melatonin is what triggers your sleep, but it's actually very, very short living in your bloodstream. It's 1,5 hours up to max. 3 hours and then it's gone. 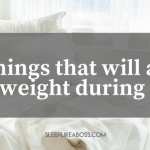 On top of that it can be very difficult for your body to absorb Melatonin, especially if your gut lining is not healthy. I also see that if people have gut inflammation, their melatonin levels can drop dramatically. That's where 5htp comes into play, because 5-htp is the form of Tryptophan, which is the precursor of Melatonin, which is easier for the body to absorb and then basically does that conversion from Tryptophan to Melatonin. So 5htp is definitely something that I prefer. It also helps with your production of Seratonin, which is always great. Seratonin is something that helps you be in a better mood. 5-htp is amazing. So look for healthy supplements of that. I personally use the brand that's called Solgar. You can get them on Amazon, iHerb as well as your local drugstore. I believe they are a Dutch brand, but you can get them pretty much everywhere in the world. How much should you get of which? Again, this is what I give to my clients and I have it from my diploma that I did with the Health Sciences Academy in London. Take a pen and write this down. In general I recommend multivitamins and minerals. One in the morning and one in the evening. I use doterra lifelong vitality, not just because I like the essential oils doterra is mainly known for, but their multivitamins are actually reaching the standards of what the true dosage should be. Let me explain that very quickly. The recommended daily allowance is a number or micrograms or micromilligrams or teeny tiny micro micro grams actually, that have been determined years and years ago, decades ago and have never been adapted and it's really literally just to keep you from being sick. So for vitamin C it would be 45 mg for example. However, current research has shown that it should be around 2000 mg. So if you buy a regular multivitamin, a pretty cheap supermarket product, they are going to have teeny tiny trace amounts, which will say is the recommended daily allowance. True. But it's not going to help you have any effect on your body. So doterra's levels are a lot higher than generic ones and I really vouch for them. They are phenomenal. Two multivitamins and two multiminerals. Vitamins are your vitamin A, B, C; your B complex, vitamin K, vitamin D, and then minerals would be a healthy amount of zinc, magnesium, chromium, different ones that you would need there. Then vitamin B6 should be 100 mg with 10 mg of zinc. Take a look in your multivitamins and if you don't like multivitamins, then get them separately. 600 mg calcium and 400 mg magnesium. You can take those together. They work well when you combine them that way. Magnesium is also something that you can really, really absorb well through your skin. As you might know, if you go to my blog and if you scroll down here on my facebook page, I have worked with Better You, a British company, that has a magnesium spray that has been harvested so deeply beyond the surface of the earth that it has not been affected by any toxins whatsoever. I really recommend them because if you have issues with your gut lining and you absorb it through your mouth with a spray, for example, then it's going to bypass that digestive system, which is pretty phenomenal. Then 1x daily 1000 mg vitamin C and 2x daily 100 mg 5-htp, only if necessary, because the side effect of 5-htp can be headaches. So make sure that you don't have a side effect. Optional are also nighttime teas with Chamomile, telia flowers, blueberry, blackberry or orange blossom, lime flowers, lemon grass, passion flower leaves, Hawthorne Rosebuds and rose hips. Those are some nice natural plants like delirium as well. Lavender and Cedar Wood is a great one. Essential oil with Cedar Wood is super nice and relaxing. Those are nice additions. Now you have everything that you need. You know, why you're supposed to take those different supplements, even if they don't seem logical to you at first. But they will help in a long-term goal to get yourself healthy, to transform your sleep and to transform your life. Let me know if you have any questions, if you want my recommendations. If you want to know more about what kind of brands I use. I told you one for my probiotics and two for magnesium as well. Let me know and I will love to help.